It is traditional for parents to sponsor a Shabbos morning kiddush in honor of the birth and naming of a new baby girl. Many people also customarily make a kiddush later on in life in order to draw down extra blessings. There are a few reasons given for this custom. Firstly, we take the opportunity to thank G‑d for what he has given us. Another beautiful reason given is that at the kiddush, many people will give blessings to the person sponsoring in honor of the occasion. Every blessing is extremely powerful, and a kiddush is a perfect opportunity to collect extra blessings. 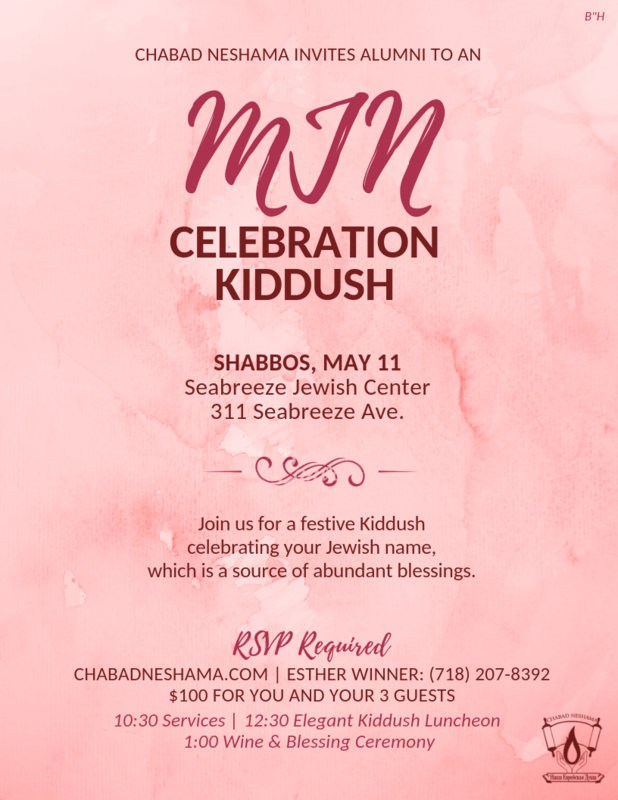 The MJN Communal Alumni Kiddush will be a special way to continue to draw down beautiful blessings for yourself and your family. In the merit of your Jewish name whether you received it only recently or many years ago, it will be a chance to gather together and publicly thank G-d for all the blessings he has given you, and for the opportunities that you have to learn and grow in your Judaism. It will also be a chance for everyone to bless each other with endless good in the merit of your (new) Jewish name. As an alumni of the MJN Jewish Naming Ceremony, we invite you to the Alumni Kiddush Luncheon celebrating your Jewish name and identity. 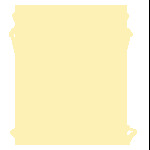 To help cover the cost we are asking each celebrant to be a sponsor of $100. Where or with whom did you receive your Jewish name?